Emperor Jing of Han, Liu Qi, was the forth King of Western Han Dynasty. During his 17 year reign(157 B.C. - 141 B.C. ), he advocated for Huangdi and Laozi and cared about the livelihood of people for the internal part, while pro-Hun and was quiescent for the better development. He was the man who created a time for peace and prosperity of early Han Dynasty. During this period, we had a wise King, national stability, economic prosperity and abundant life which we called “Wenjingzhizhi”. The Mausoleum of Emperor Jing called Yang Ling which is located in the second level bench terrace of the north bank of Wei river, the border of Xi’an and Xianyang. It is in the east of thick soil terrace, and overlooks the Jing and Wei rivers from north to south stretching 36 kilometer. In addition, it is the easternmost one of the nine mausoleums of Western Han Dynasty. 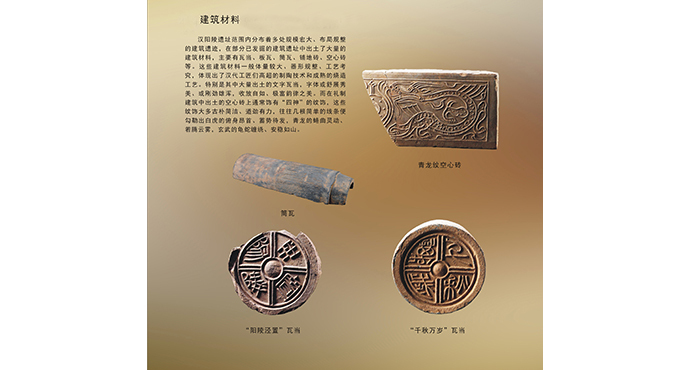 After more than 40 years research and excavation, we are now clearly knowing the brief structure of the mausoleum, including tomb of the king, tomb of the queen, some outside burial pits in the north and south, some funerary pits, building sites, Yang Ling County and the tomb of criminals and covering about 20 square kilometer. 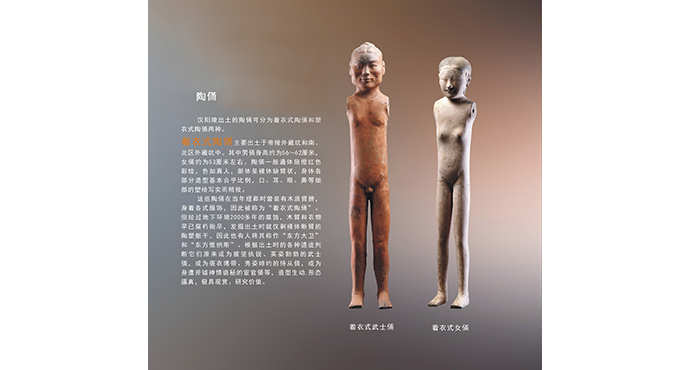 Until now, it has unearthed kinds of culture relics, mainly about the pottery figurines, more than 100,000, including the “naked pottery figurines”, life stuff, building materials. The types, scales and art styles reflect the great kingdom and the great king. 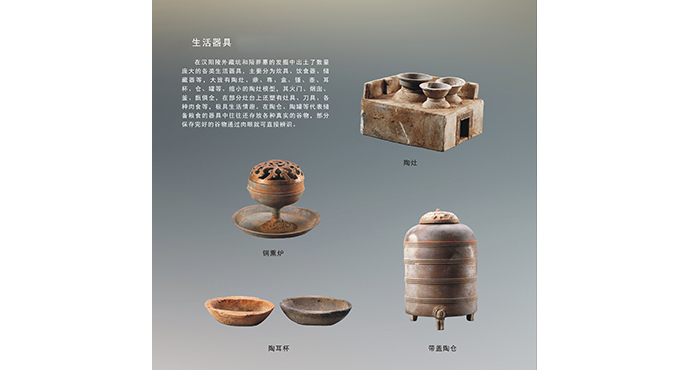 This exhibition includes 120 piece (or sets) culture relics of Han Yang Ling Museum. The ruler of Western Han Dynasty advocated the Confucian filial concept, and an honorable burial and they thought death and lives were same. 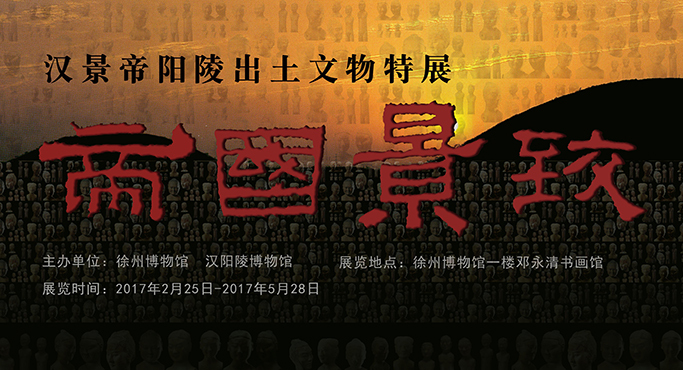 According to “Shiji”, the construction of the mausoleum of emperor Jing of Han was began in the 4th year during the his reign. As the highest ruler of Han Dynasty, emperor Jing of Han has a great scale and designation which is not inferior to the mausoleum of emperor of Qin. The mausoleum had a full function just like an underground palace. The tomb of the king is faced to the east. The whole cemetery was centered by the tomb of the king, with four protectors on the four corners; symmetry from north to south; linking from east the west, which reflect the feudal imperial spirit and strict hierarchy. 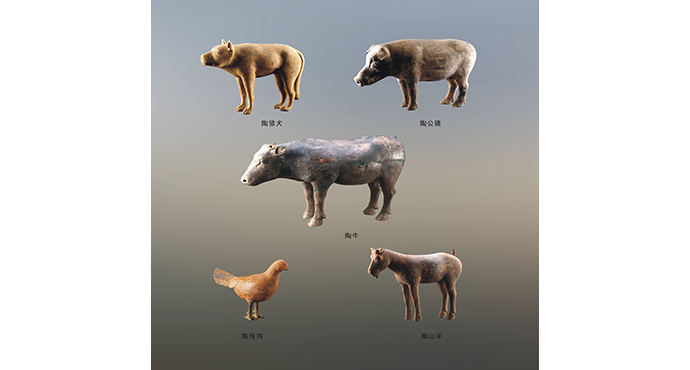 The rulers of early Han Dynasty advocated for Huangdi and Laozi and cared about the livelihood of people, and they preferred to the agriculture rather than business. They focused themselves to social economic which was ruined by the war. In addition to the agriculture, they also paid attention to the livestock raising. Therefore, it had been found lots of potter animals with different kinds, vivid and interesting. On the one hand, we know that the society was rich and abundant. On the other hand, the emperor Jing of Han hoped that the society would prosperous and peace forever. 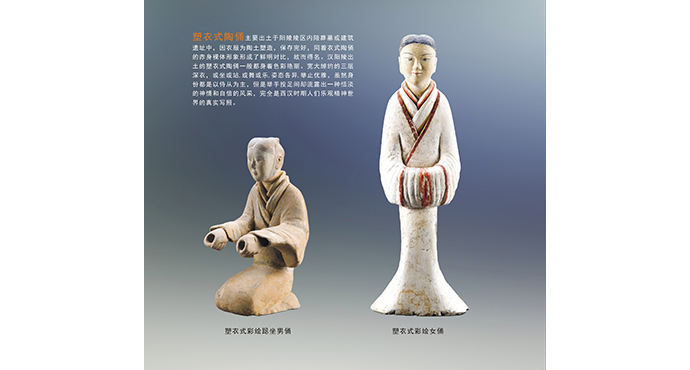 The cemetery is buried with millions of culture relics. We have already outlined the layout of the forth emperor of Han Dynasty. 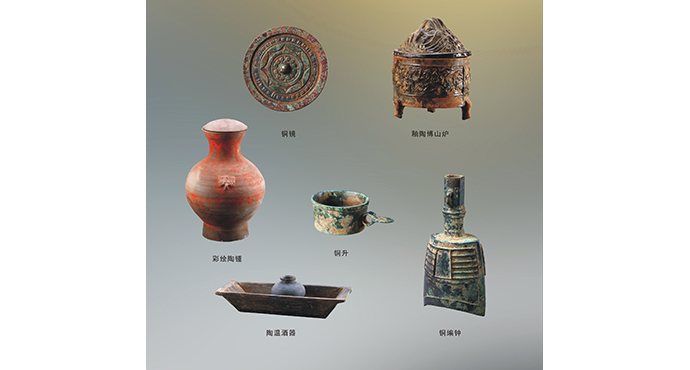 So we gradually clear the mausoleum system of Han Dynasty. 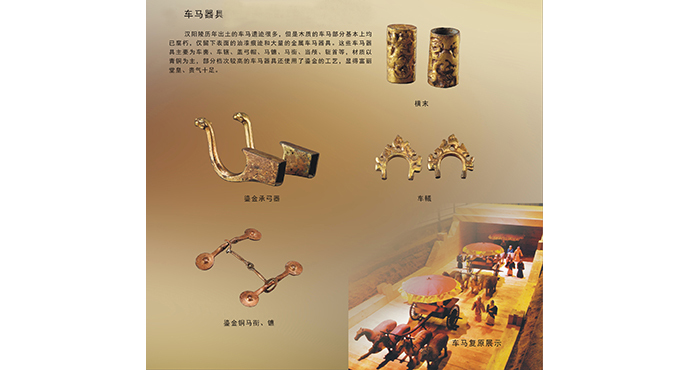 Today, when you come the the museum of Emperor Jing of Han, we can see two mounds, exhibition building, south gate tower sites and outside burial pits. We marvel at the every subtle discovery, enjoy the royal style for 2000 years ago and experience the vicissitudes and relentless of history.